IHK Baden-Württemberg: The twelve Chambers of Commerce and Industry in Baden-Württemberg represent the interests of around 607,000 companies and provide services to the region's economy. 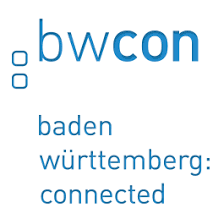 Bwcon is an association which pursues the goal of supporting the crucial technologies and markets for industry and society. There's a place where priorities only ever shift one way: your way. Moving from a brilliant idea to a successful product is not just labour-intensive; it also takes time. The GeoNet.MRN network is a non-profit organisation in the field of geoinformation.